With over 28 years of experience, Ettinger Law Firm has been practicing elder law estate planning exclusively since 1991. Our practice consists of Living Trusts, Medicaid Asset Protection Trusts, Medicaid Applications, Wills, Probate, Estate Administration and Special Needs Trusts in our sixteen offices in Albany, Bohemia, Brooklyn, Fishkill, Huntington, Lake Success, Manhattan, Melville, Middletown, Nyack, Rhinebeck, Rockville Centre, Saratoga, Smithtown, Staten Island and White Plains. We serve elder law estate planning clients in the following counties of New York: Albany, Columbia, Dutchess, Greene, Kings, Nassau, New York, Orange, Putnam, Queens, Ulster, Rensselaer, Richmond, Rockland, Saratoga, Schenectady, Suffolk, Sullivan, Warren, Washington, and Westchester. 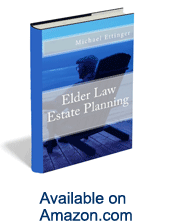 Our founding attorney, Michael Ettinger, is author of “Elder Law Estate Planning” and a leading authority on elder law estate planning matters. He was a founding member of The American Academy of Estate Planning Lawyers and Past President of The American Association of Trust, Estate and Elder Law Attorneys. The firm today consists of nine lawyers and thirteen paralegals and support staff. Elder law addresses disability planning. As people's life expectancies have increased due to advances in medical science as well as health and nutrition people are living much longer than just a century ago. One result is that many more people now become disabled before they die – some say that as many as half of us will have a period later in life where we are unable to manage our affairs. Elder law protect the needs of frail seniors by providing substitute decision-making through the use of Powers of Attorney, Health Care Proxies and Living Wills, Revocable and Irrevocable Living Trusts, Medicaid Planning and Medicaid Applications. Proper elder law planning allows you to avoid guardianship proceedings upon disability and keep control with your loves ones. Ettinger Law Firm has prepared many thousands of each of the foregoing matters since 1991 and can help you with a free elder law and disability planning consultation at any of our sixteen New York locations. Please contact us by telephone or email. Estate Planning has been defined as “Getting your assets, upon death, to whom you want, when you want, in the way you want, with the least amount of taxes and legal fees possible.” Estate planning most often results in the use of revocable living trusts to avoid probate at death. Probate is a court proceeding required to prove the will valid before the executor may proceed to distribute assets to the named heirs. Probate can often be expensive and time-consuming, resulting in frustrating delays. Revocable living trusts do not require court proceedings at death and thus have become the most popular alternative to wills for seniors. Other advantages of living trusts are they are significantly less expensive to settle upon death than wills, they can keep your assets in the bloodline with Inheritance Trusts, and they afford privacy of the deceased person's affairs since there is no probate record of how much you had, who you left it to, or who you may have left out. Again, with a living trust you keep control with your loved one instead of handing it over to courts and judges as you do with a will. Living trusts also provide for who takes over if you should become disabled, avoiding potentially expensive and time-consuming guardianship proceedings and keeping control in the family. Ettinger Law Firm has prepared thousands of revocable living trusts. For a free revocable living trust consultation at any one of our sixteen New York offices, please contact us by telephone or email. Medicaid Asset Protection Trusts (MAPT's) have been protecting clients' assets for over thirty years. Also known as an irrevocable Medicaid trust, these trusts avoid guardianship proceedings on disability, avoid probate proceedings at death, keep assets in the bloodline with Inheritance Trusts, and have the added feature of protecting your assets from nursing home care costs. There is a five year “look back” period upon transfer of assets to the Medicaid trust. This means that assets are not fully protected until five years after the date of transfer. However, the time pro rates, so let's say you don't make it five years – you need nursing home care three years after you put your assets into the Medicaid trust -- in that case you only have to pay for the two years that are left. There are many misconceptions and myths about Medicaid trusts. Well-meaning but ill-informed professionals such as accountants, financial advisors and even general practice lawyers often give incorrect advice in this area. For example, very few know that in New York we can actually revoke the irrevocable trust – we just have to get all family members to sign. Ettinger Law Firm has prepared thousands of Medicaid Asset Protection Trusts. To get the correct advice about Medicaid trusts at one of our sixteen New York offices, please contact us by telephone or email. Whether a loved one needs Medicaid for home care (Community Medicaid) or Medicaid for nursing home care (Institutional or Chronic Care Medicaid) an application for Medicaid benefits is required. Due to complex asset and transfer rules, various “look back” periods and different Medicaid practices in the various counties of New York State, the application should be made with the assistance of an experienced elder law attorney. Ettinger Law Firm has filed thousands of Medicaid applications. Certain assets are exempt from Medicaid where there is a spouse at home (the “community spouse”). Apart from the exempt assets, there are a number of ways to protect assets from Medicaid such as where there has been an adult caregiver living in the home for two or more years before applying for Medicaid, spousal refusal and transferring the assets to a Supplemental or Special Needs Trust to a disabled child under the age of sixty. To learn more about your eligibility for home care Medicaid benefits or nursing home Medicaid benefits, please contact us by telephone or email to schedule a free consultation in one of our sixteen New York offices. A will is a legal document, prepared by an attorney, and witnessed by two witnesses stating your wishes as to who will receive which of your assets on your death. It also names an executor to carry out your wishes. Wills are not valid to transfer your assets until after a court proceeding known as “probate”. Probate actually means proving the validity of the will. In probate proceedings a petition to the court is required proving that you were of sound mind, memory and understanding, that you were not under any fraud or undue influences and you were able to read and converse in the English language. The petition must be served on all the heirs and potential heirs and then returned to the court and await the judge's decision. Then the estate must be kept open for at least seven months for creditor's claims. Probate in New York can easily take one year and often two or more years. Probate only addresses assets in the deceased person's name alone. Assets that do not go through probate are jointly held assets, assets with a named beneficiary and assets held in revocable and irrevocable trusts. Ettinger Law Firm has probated thousands of New York wills. For a free will or probate consultation in one of our sixteen New York offices, please contact us by telephone or email. Although trusts do not have to go through probate on death, the trust must still be “administered”. This means the trustee must contact beneficiaries, keep them informed, gather and collect the deceased person's assets. Additional duties of the trustee include: showing loyalty to all trust beneficiaries, dealing impartially with beneficiaries, make trust property productive and eliminating “wasting” assets, i.e. those that deplete the trust, invest prudently, account to beneficiaries, keep trust assets separate, avoid conflicts of interest and self-dealing, preserve the trust assets, uphold the trust terms and file tax returns. Successor trustees often lack the time, knowledge or resources to personally administer the trust. Ettinger Law Firm has performed thousands of estate administrations. For your free estate administration consultation, please contact us by telephone or email to schedule in one of our sixteen New York offices. Special Needs Trusts, sometimes called Supplemental Needs Trusts, protect assets for children receiving SSI (Social Security Income) benefits and Medicaid benefits. Extra needs expenses beyond what the state provides may be for clothing, dietary needs, education, hobbies, sports, exercise, travel and entertainment, elective medical procedures, vocational rehabilitation, household goods and appliances, personal care products, automobiles (including gas and insurance), transportation and burial costs. Payment must be made to the service provider or items purchased on behalf of the child. Any payments made to the child themselves will reduce their Social Security Income (SSI) benefits dollar for dollar. Special or Supplemental Needs Trusts come in two varieties. Third party trusts set up by a parent, grandparent of legal guardian and with third party money or first party trusts using the child's own money. Under the ABLE act, children may now also set up their own Special Needs Trusts if they are legally competent. First party Special Needs Trusts require a “payback” provision so that any unused funds in the trust must first be paid back to the state to the extent of any benefits received, before going to the heirs. Third party Special Needs Trust do not require “payback” to the state. Ettinger Law Firm has prepared hundreds of Special Needs Trusts. For a free Special Needs Trust consultation, please contact us by telephone or email at any of our sixteen New York offices. Complete the contact form or call us at 1-800-500-2525 Ext. 117 to schedule your free consultation.